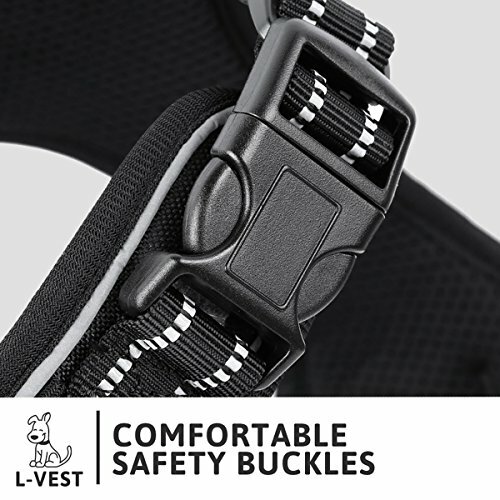 Adjustable safety clips allow for a hassle free easy fit on most any dog. 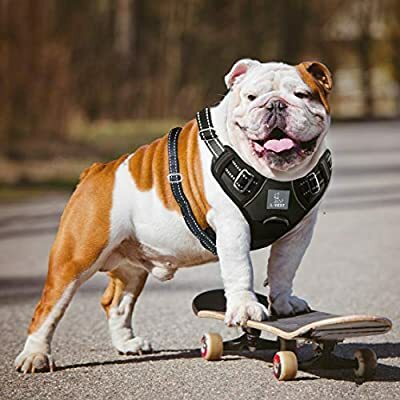 Breathable fabric that will keep your dog staying fresh. 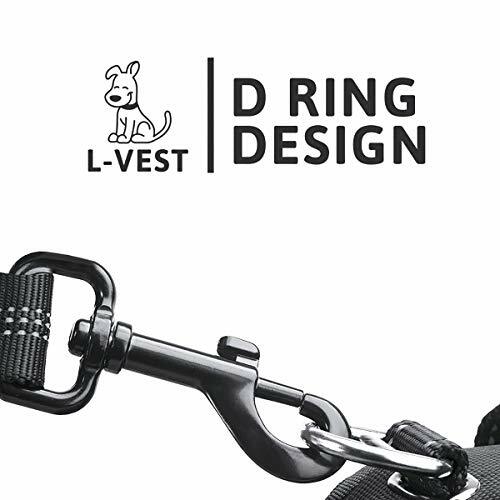 D-rings for a struggle free attachment of any leash. Comfortable Handle allows you to hold your precious puppy close. Special design allows for training your loved one for an easy no pull walk. If you are not completely in love with this vest then simply return it through our hassle free guarantee. 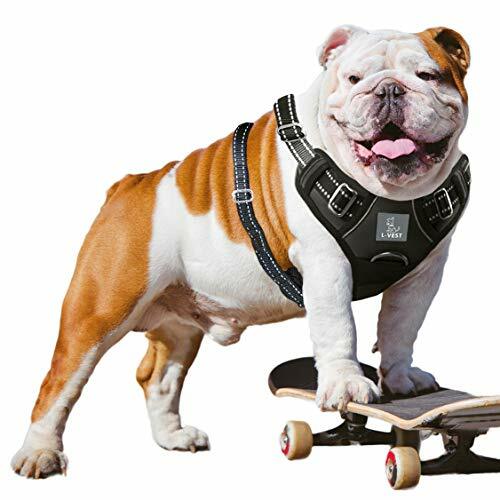 DOG HARNESS - Adjustable safety clips allow for a hassle free easy fit of the L-Vest your dog will love (see sizing image before purchasing, this is size medium). EASY NO PULL WALK - The L-Vest breathable fabric that will keep your dog staying cool and fresh throughout the whole walk. 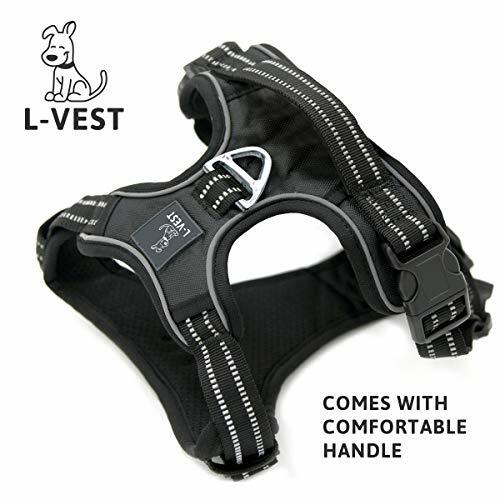 HARNESSES - L-Vest is made with D-rings that allow for a struggle free attachment of any leash (maximum D-ring weight is 250lb). EASE OF CONTROL - Comfortable Handle allows you to hold your precious puppy close when you need to. 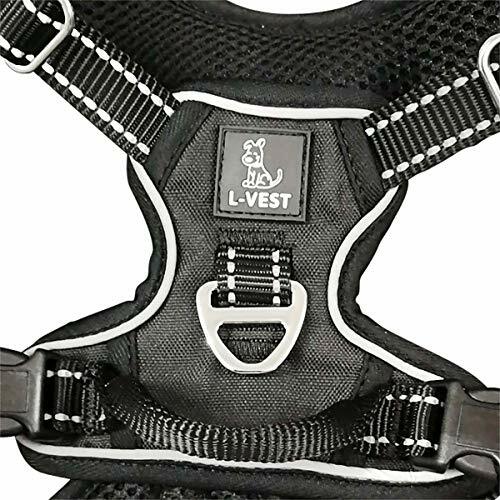 GUARANTEE - The L-VEST Dog Harness are the best harnesses for your dog or your money back.